Being WBE certified means that women own and control at least 51% of our company, we have a female Chair, and women are active in daily management. We’re proud of our diversity and being woman-owned and woman-managed since the very beginning. This diversity gives us a better perspective on the industry, on developing innovative solutions for our clients, and has a positive impact on our clients’ supplier diversity. This diversity is essential in staffing a vast array of industries. With the combined perspective from both men and women we customize every solution and make innovative solutions from combined backgrounds, which impacts supplier diversity, our other memberships, and our community involvement. 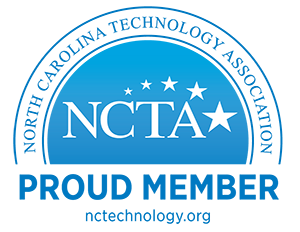 The North Carolina Technology Association (NCTA) is a not-for-profit focused on advancing North Carolina’s technology industry and serves as the primary voice of the technology industry in the state. NCTA is the intersection of leadership and technology, fueling the growth of North Carolina through Executive Engagement, Public Affairs, and a Knowledge Workforce. Software Guidance & Assistance, Inc. (SGA) is a long-standing member of TechServe Alliance, formerly known as the National Association of Computer Consulting Businesses (NACCB). TechServe Alliance is a collaboration of Information Technology services firms, clients, consultants and suppliers dedicated to advancing excellence and ethics within the IT services industry. SGA is committed not only to our business but our community. Each year we sponsor events for Autism Speaks, Habitat for Humanity NYC, and Ronald McDonald House. And when we see people in need, we reach out too, as we did when we participated in Hurricane Sandy relief efforts and the Nepal earthquake recovery.